Travel Information – baggage, policies, etc. CommutAir Cares is an organization with a pending 501(C)(3) exemption created to financially assist employees, affiliates, and stakeholders of CommutAir as well as nonprofit organizations. The organization is governed by a seven-member Board of Directors (the Board) consisting of at least one member from each of CommutAir’s main working groups; Leadership Team, Finance, Human Resources, Corporate Office, Pilots, Flight Attendants and Maintenance. The Board meets monthly to discuss current business and vote on submitted requests for assistance. 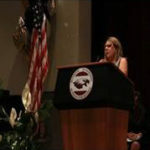 After the tragedy of the Marjory Stoneman Douglas (MSD) school shooting in Parkland, Florida, Board Member Lisa Ferm (FA) proposed the introduction of a scholarship to be awarded to a MSD Senior level student interested in a career in aviation. The goal of the scholarship; to in some way assist the students and the community to look to the future and help heal the past. The Board unanimously voted in favor of allocating $2,000 for the scholarship. However, some generous CommutAir employees went out of their way to donate additional funds making the final total award $2,225. Students were asked to submit an essay to the Board outlining their interest in pursuing a career in the field of aviation. 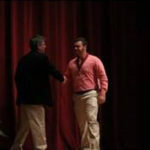 Once the submission period ended, Owen Trent was selected as the recipient of the scholarship. Owen is a four year participant in Varsity Lacrosse and the Junior ROTC (currently Company Commander), as well as the marching band and a number of other musical pursuits. If that wasn’t enough, Owen is also an active member of his community participating in many volunteer initiatives including Habitat for Humanity and SOS Children’s Village. Owen will be attending SUNY Maritime College with plans to join the Naval ROTC. After graduation, Owen would like to become a pilot in the Navy or Coast Guard and down the road, a commercial airline pilot. 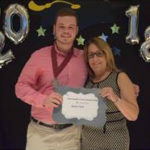 Lisa, who has ties to the school and the Parkland community, made the trip to Florida to present Owen with scholarship and deliver a few words about CommutAir Cares and CommutAir during MSD’s Senior Honors Night. ratcheting screwdriver with interchangeable bits.